BRYAN EATON/Staff photo. 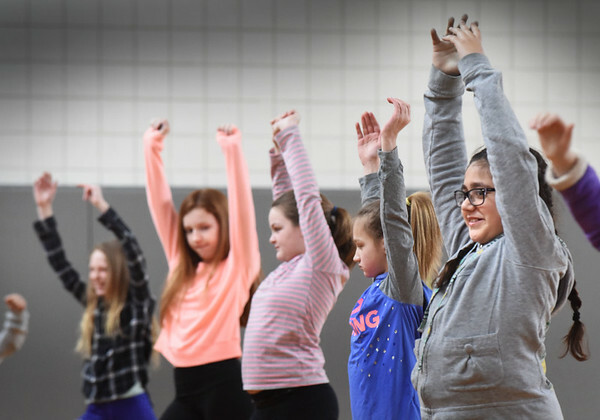 Fifth-graders at Salisbury Elementary School took a yoga class on Friday with staff from Roots To Wings Yoga and Healing, based in Newburyport, during physical education class. Every Friday each entire class level meets for Unified Arts which brings youngsters together for comraderie and cooperation with each other. It's hoped they take with them relaxation techniques from the yoga class for their upcoming MCAS tests.